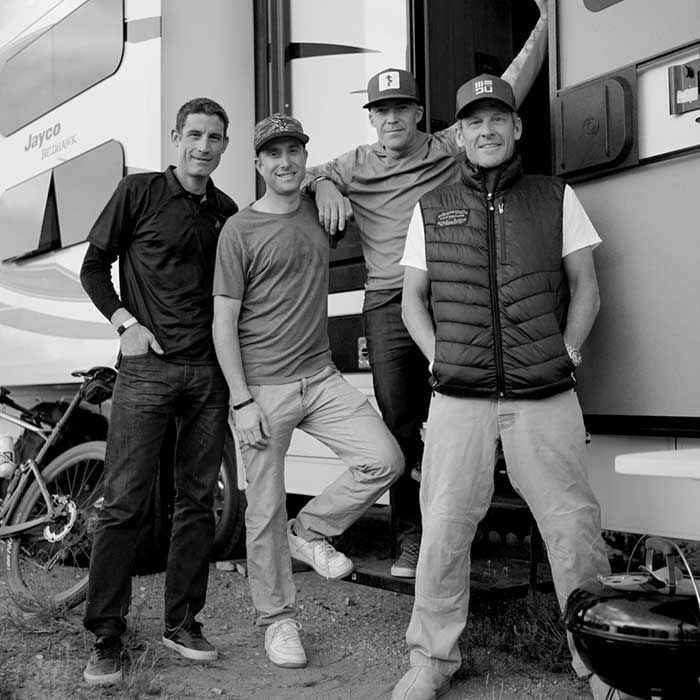 George Hincapie, Christian Vande Velde, and Dylan Casey are former professional cyclists who raced for various professional teams during their cycling careers. All three went on to great successes in their post cycling careers. The guys got together with Lance for an epic 24 hour mountain bike ride in the Sonoran Desert known as 24 Hours in the Old Pueblo. All four guys sat down in the trailer pre-race for a quick catchup.